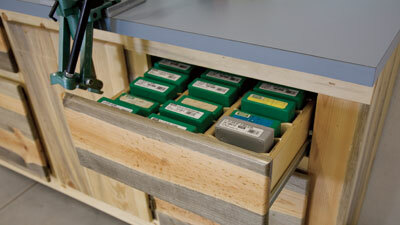 The NRA’s American Rifleman Online website has an excellent article showing how to construct a rock-solid Reloading Bench. There are plenty of photos, and a detailed set of Bench Blueprints showing all dimensions and listing all needed materials. This bench is very well designed, with many deluxe features, such as an upper drawer with fitted slots for die boxes, and large lower drawers with 100-lb rated slides to store heavy materials or tools. If you have good wood-working skills this would be an excellent project. 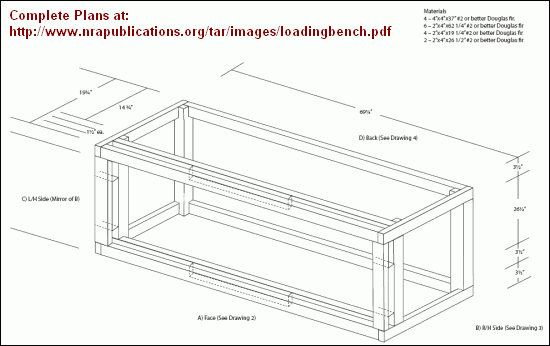 Share the post "BYOB — Build Your Own Bench for Reloading — Free Plans"